If the branded candidate experience and messaging aren’t aligned to the realities of how your employees are living the promise, it could serve far more damage to your brand than saying nothing at all. There is a direct link between employee and customer satisfaction, and between customer satisfaction and improved financial performance. The employee experience has the power to win or lose you great talent and customers. 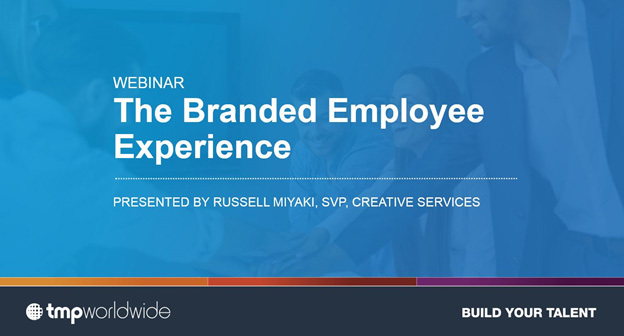 In this webinar, TMP’s SVP, Creative Services, Russell Miyaki takes you through how to create a branded employee experience. What it means to your employer brand, technology, employee engagement and the unique cultures that it defines.